Crochet a cougar, turtle and weasel! Easy-to-follow full-color pattern includes diagrams and detailed instructions to finish one project inabout an hour. Approximately 3-3?4 to 4-1?4 inches (9.5-10.8cm) tall. So simple and soooooo cute!! Thanks!! Brilliant, exactly what I was wanting!! Love the pattern. Nice Quality. Thanks. Can't wait to try this one! Can I sell items I make from your patterns? Yes. Individuals can make and sell CraftyAlien designs online and at craft shows as long as you let buyers know that it's a CraftyAlien design. Manufacturers are NOT permitted to make any CraftyAlien designs without a licensing agreement with CraftyAlien. I lost my pattern. Can I get a replacement? Absolutely! 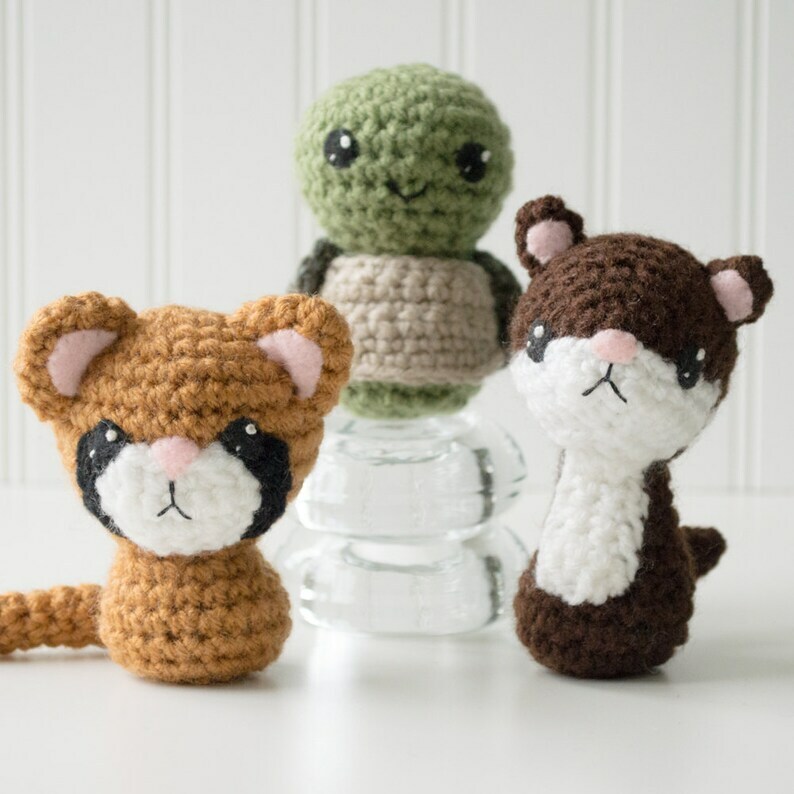 For purchases prior to Etsy downloads, just let me know your name, approximate time you purchased the pattern and any other details, such as email address, transaction number, etc. I'm not sure how to do this stitch... Can I get some help?